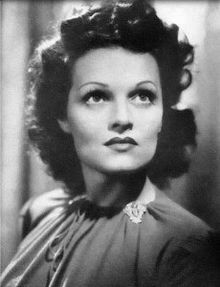 Note for Web*: 1913 - LINDEN TRAVERS WAS BORN Florence Lindon-Travers on May 27m 1913 in Houghton-le-Spring, Co Durham. Her parents were: Florence Wheatley, granddaughter of confectioner George Wheatley: and William Halton Lindon-Travers. a manager of theatres in Tyneside. Linden attended the La Sagesse Convent School, Jesmond, Newcastle upon Tyne. 1933 - Linden made her first stage appearance at Newcastle Playhouse (now known as Northern Stage) at the age of 20. Her paternal grandmother. Alice Travers. passed away in February 1933 and was buried at Jesmond Old Cemetery. 1934 - Linden played the lead in 'Murder in Mayfair' at the Glove Theatre in London's West End. She met a gentleman called Guy Leon, whose sister was in the cast Linden later married Guy. 1935 - Linden starred in her first movie, 'Children of the Fog'. Around this time. Linden was the centre of attraction at the Houghton Film Society, which met in a building on Robinson Street when she made a visit home. 1937 - Linden's maternal grandfather, Robert Wheatley. passed away in April 1937. 1939 - Linden's first child, Jennifer Susan Leon, was bom in Chelsea in February 1939. 1948 - Linden married James Holman. 1949 - Linden's second child, Sally Linden Holman. was bom. She played the part of Beatriz de Peraza in her last film. 'Christopher Columbus', which was released in October 1949. She continued to appear in television plays. ???? - Linden lived at a house called Lorraine, St Ives. Cornwall, where she spent her time as an artist. 1969 - Linden and her sisters, Alice Wilton and Pearl Morant, opened the Travers Gallery in Kensington. London. It was open until 1972. 1974 - Linden's husband, James Holman, passed away. Linden spent the years afterwards travelling around Asia and Africa. 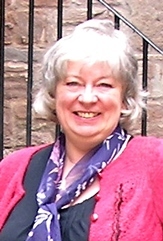 1980s - Linden studied psychotherapy in the early 1980s and qualified as a hypnotherapist. 1999 - Linden made her last television appearance in a BBC tribute to Alfred Hitchcock, celebrating the centenary of his birth. [S49] Website Web Site online (www.) from PL [Jan 2012].